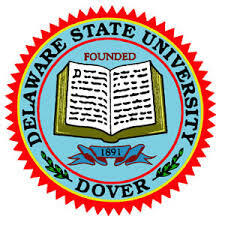 By the time you read this hubby and I will be in Dover on the campus of our Alma Mater, Delaware State (College) University with our youngest son. You can only imagine all the emotions that I might be experiencing right now…whoa…just the thought of hubby and I walking “The Yard” 30 years ago…and now today walking it with our “baby boy” ….break out the tissues! I’ll take plenty of pictures and try to stay focused in order to document the day, and not reminiscence of my past days at DSC – Class of ’83! But in the meantime, I hope you are having a Super Saturday – Smooches! Oh how I recall the many roadtrips with one child for this. This was our first….and a beautiful day it was! Yes it was, I think hubby and I had more fun! Yes, and I only had one major Déjà Vu! My parents lived in Dover!! Happy Weekend! Really? I went to High School and College there, now in Middletown. Yep, lots and lots of Kleenex! I had a few Deja Vue moments but him being a teenager almost brought tears to my eyes because I couldn’t pop him upside his head a few times!